Here are some of the frequently asked questions people ask about NBA 2k17. If you have any questions, post them in comments section below. Q: What do I get from pre-ordering? A: You can find the latest official infographic containing the pre-order bonuses here. Q: If I pre-order digitally, do I get the physical pre-order bonuses? Q: Can I split my pre-order bonuses with someone? Q: How do I get the 35K VC for 2K16? Does this mean I don’t get my VC for 2K17? A: Pre-order from PSN or XBL to get additional 35K VC for 2K16. No, this does not affect your pre-order bonuses for 2K17. Q: Are pre-order bonuses shared between multiple accounts on the same console? A: No, it is a one-time redemption code. Q: Do I get Early Tipoff with the Legend/Legend Gold Edition? A: Yes, you get it on the 16th with every edition. Q: Can I pre-download the full game? A: Yes, XB1 and PS4 users can start the download NOW. No ETA for PC users. Q: What is The Prelude? Is it separate from NBA 2K17? A: The Prelude is the introduction to MyCAREER and it is available a week earlier than the full game. It is NOT a separate game from NBA 2K17. It’s sort of like a demo. To put it simply, The Prelude is like if someone gave you 2K17 but locked all the game modes except the first chapter of MyCAREER. When you buy the full game, the other modes are unlocked. Those who don’t get The Prelude will get the same thing when they start a MyCAREER from scratch. Q: Where/When can I get The Prelude? A: Anyone (whether you’ve pre-ordered or not) can download it for FREE from the Xbox Store/Playstation Store on Sept. 9. US: 12 AM EST. Q: Can I pre-download The Prelude? A: No, it will be not be available for pre-download. It will be available on the 9th and not before. Q: Can I get The Prelude on Sept. 9 for PC? A: No, it is not available on Sept. 9 for PC. However, it will be part of the MyCAREER mode at launch. There is no explanation for why PC players can’t start early like console players but all platforms are getting the same game. Q: Can I restart The Prelude? A: No, and don’t try deleting your save data. If you want to play it again, use a different gamertag (keep in mind this progress won’t transfer over to your main account). Q: I deleted my save data/my game crashed and now it says I already played The Prelude. What do I do? A: Unfortunately there is nothing you can do. If The Prelude senses that you deleted your save data or your save data got wiped some other way, you are locked out. Q: How many players can I have on The Prelude? A: Just one per gamertag. This limit goes away when you buy the full game. Q: Does everything from The Prelude carry over to the standard game? A: Yes, The Prelude just lets you play the introduction to MyCAREER early, all progress will transfer over when you get the full game. Q: Can you buy VC during The Prelude? Q: Why don’t I have ___ on X360/PS3? 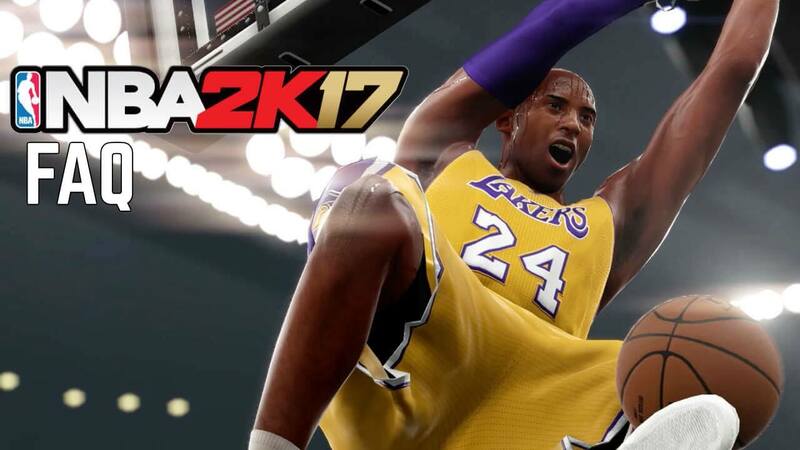 A: Last-gen NBA 2K17 is NOT the current-gen version and does not have the gameplay improvements or new features. It is essentially 2K13 v4.0. Q: Does VC/MT from NBA 2K16 transfer over to NBA 2K17? Q: How do I complete my face scan this year? A: Use the My NBA 2K17 app on the App Store or Google Play Store. Q: Is Spike Lee involved? Q: Is my character’s nickname Pres? A: Yes, in cutscenes and in-game text messages you will be referred to as Pres. Q: Who is Justice Young? A: Justice Young is your partner in your dynamic duo “Orange Juice”. Q: Can I go over the attribute caps? A: No. However, you can get boosts by buying them or from practice. Q: Is there a Draft Dynasty mode? Q: What are Free Agent cards? A: Free Agent cards (the Onyx ones) are essentially trial cards that can only be used for a certain number of games.